As a welder, fire-resistance is a key component in your on-the-job wardrobe selection. This Black Stallion Men's FB2 30 CPS Brown/Tan Flame-Resistant Pigskin Jacket has exactly what you require to protect you on the job and keep you cool around the hot, hot flames. ... (see full details) (see specifications) #REVFB2-30C/PS. As a welder, fire-resistance is a key component in your on-the-job wardrobe selection. This Black Stallion Men's FB2 30 CPS Brown/Tan Flame-Resistant Pigskin Jacket has exactly what you require to protect you on the job and keep you cool around the hot, hot flames. 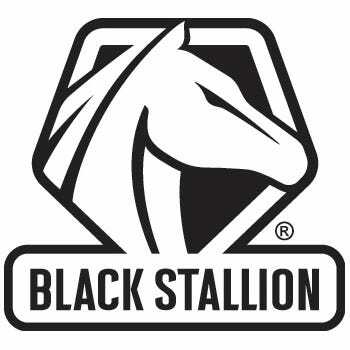 Manufactured from brown pigskin combined with 12-ounces of heavy duty cotton fabric, Black Stallion engineered a 30-inch work jacket with fire-resistant. In addition to being flame resistant this workwear is also equipped to have breathable properties that are lightweight and flexible. As practical as it's protective, this men's jacket proves its value over and over again, wash after wash. You'll get maximum wear along with ultimate protection. The FR material is the ideal combination of cool and comfortable, and the durable pigskin is extra resilient. Durable and not to mention good looking, this tan and brown jacket will please you with both its protective and aesthetic qualities. Protecting you on the job requires creative design features combined with state-of-the-art engineering, Revco has found a way to deliver both. You can even have this workwear custom embroidered by the Working Person's store, with added cost. With the Black Stallion Men's FB2-30CPS Brown/Tan Pigskin Flame-Resistant Jacket, you know you're investing in high-quality work gear. The only thing it won't resist is your wise choice to order it today! What are you waiting for? I have always been a welder for a long time. I got this here new jacket becuz my old one done wore out. The new one is good, my boss even notised and buyed me a cup a cofee for free. Just an ok jacket expected better. I wanted this mechanics job with a race car driver team. I bought this jacket and kinda ruffed it up a bit so it looked used. I took it with me when I applied for the job. There was alot of other guys there but I got the job he said I was prepared. It's my lucky jacket now. The jacket fits well and is much lighter and more comfortable than my old one. My only issue is that the canvas part is a little light-weight and may get sparks burning through in the future. I do expect to get a lot of use for it. Black Stallion Jackets: Men's FB2 30 CPS Brown/Tan Pigskin Fire-Resistant Jacket is being added to your cart.